BenQ has added another monitor with a 31.5-inch panel, 2560 x 1440 resolution and 1800R curvature to its lineup. The display comes with an VA panel from AU Optronics and it's supposed to be HDR compatible. As we already mentioned the EX3203R monitor has been equipped with a 31.5-inch panel offering 2560 x 1440 pixel resolution. On the connector side of things we find one DisplayPort 1.2, dual HDMI 1.4 inputs, two USB 3.0 ports for output, one USB 3.0 for input and a USB Type-C connector. 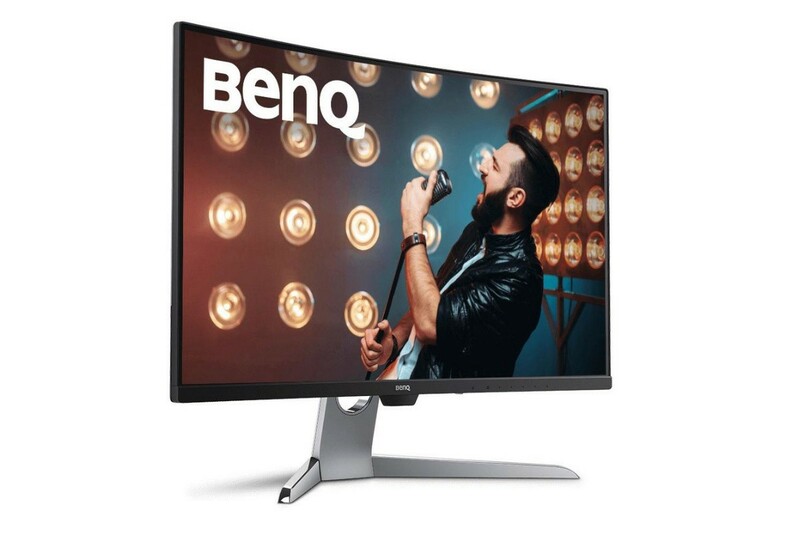 The BenQ EX3203R is compatible with AMD FreeSync 2 and it also supports 144Hz refresh rate. The display is certified as a DisplayHDR 400 monitor due to the brightness of 400 cd/m2. On top of the convincing specs there is a very well-built aluminum frame, which allows for pan, tilt, swivel and height adjustment. Furthermore it is compatible with 100 x 100mm VESA mounts making this display ideal for multi-monitor configurations if required. BenQ EX3203R will be available during next days and it should costs $609.99 USD.